A healthy alternative to bread. 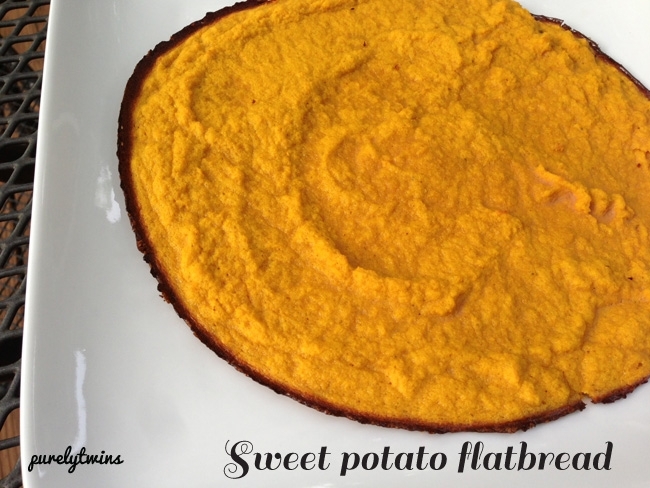 Sweet potato flatbread. Gluten-free. Grain-free. Dairy-free. Place eggs and sweet potato in blender and blend till smooth. Cook in some coconut oil in a circle pan in the oven at 350 degrees for about 20-22 minutes.